The world of wine is filled with the kind of ubiquitous terminology designed to confuse a disciple of logical thinking, as well as enough fads, fashions and trends to make a Vogue editor return to pig-tails, tie-died shirts and crimpelene jackets. Like mindfulness or karma, “organic” is one of the words that everyone thinks they should like, but no-one actually understands. There is nothing inherently different about organic wine. When one sees the “O” word on a label, the contents of the bottle will still be fermented grape juice, made exactly the same way as any other wine. The only difference is that said grapes were farmed organically. This means no nuking of vineyards with chemical sprays or pumping the soils full of artificial fertiliser. Organic is farming as it was done in the old days before the chemical companies had one by the short and curlies – that is using natural compost to fertilise the soils and keeping pests and diseases at bay with organic substances that do not require the wearing of gas-masks or space-suits when applying them. Nature does as nature do. When it comes to the wine, sulphur is usually still added as a preservative, along with the various fining agents required to ensure the fermented juice gets into the bottle in a state fit for human consumption. Is organic a fad? Well, my focus is on what the final product tastes like. Yet when one starts talking about soil and nature and terroir and all that stuff, there has to be a case for wine made from grapes grown in agricultural conditions that have been kept as naturally as possible. This is why many of the world’s great wine-making regions, Burgundy and Bordeaux to name but two, are seeing evermore vignerons going organic. A blanc de blancs made from 100% Chardonnay, this is an example of how good a run South African Cap Classique produces are giving French Champagnes when it comes to quality alone. Frank Meaker is the skilled and committed cellarmaster, and with 40 years’ experience behind him, Frank has seen a bit including winemaking stints in the Champagne region in France as well as with JC le Roux in Stellenbosch. He is a true craftsman in the cellar. Add natural, organic farmed Swartland Chardonnay grapes into the mix, and this is a sparkling wine for which I am tempted to use a corny bit of wine terminology like “thrilling”. The wine’s three years of lees contact during bottle-fermentation results in that classic brioche, bready aroma. In the mouth, the bubbles inject a blast of delicious citrus and pear flavours, ending in a clean, mineral finish. Bottle-fermented sparkling wine really is God’s gift to wine-lovers as this example of classic structure and depth of flavour combines with life-affirming bubbly enjoyment shows. A wine for anytime drinking, but some plump West Coast oysters or a piece of freshly grilled fish takes it to another level. While out in the Swartland, a recent release from Hamilton Russell Vineyards was brought to my attention. Yes, the same Hamilton Russell who pioneered Chardonnay and Pinot Noir in the Hemel-en-Aarde Valley. Only this time it’s Hamilton Russell’s Ashbourne brand, now sporting a red wine made from Pinotage and Cinsault using grapes grown out in the Swartland. On a farm with the charming name of Knolfontein, by the way. There’s a story here, as Pinotage is the South African-invented cross between the varieties Pinot Noir and Hermitage, the latter grape currently better known as Cinsault. 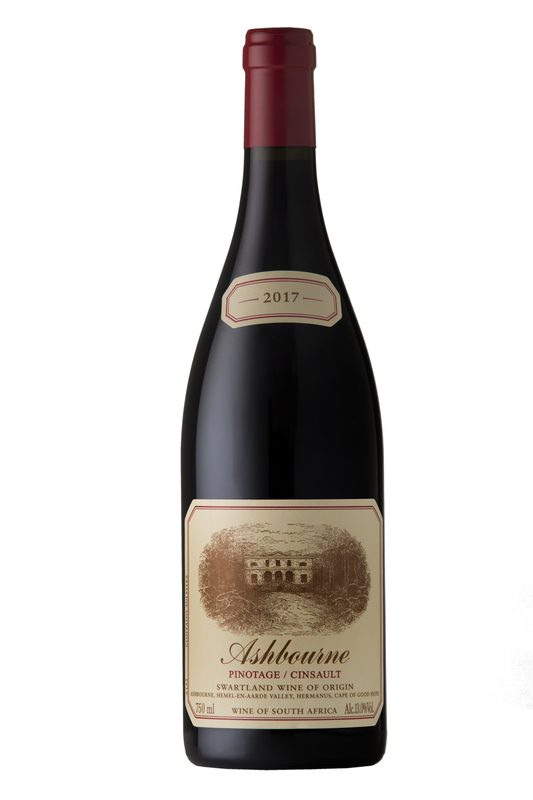 Ashbourne’s Pinotage Cinsault 2017 (R165) is thus a bit of a playing about with two relatives, and the result is immense fun. This charming and very pleasant red wine is made from 81% Pinotage and 19% Cinsault, and if you were wondering what the 2017 vintage was doing in the market so early, it is because the wine is unwooded. 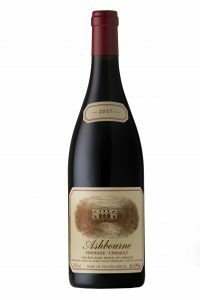 Yes, fermented and kept in stainless steel tanks, this is virginal expression of lovely black fruit in a wine that is made to drink by the bucketful. A whack of mulberry and blackcurrant abounds along with an intriguing brush of fynbos, complemented by some exciting spiciness to give the wine an edge. Smooth, soft tannins make this a great summer lunch-time wine and I would chill it slightly before enjoying with charcuterie, cheese or grilled chicken. Seeing we are heading north, about 850km from Cape Town lies Upington, the home of Orange River Cellars. Thousands of hectares of grapes are grown next to the Orange River in the regions of Kakamas, Keimoes and Upington, and there are some superb non-plussed fun wines made in the vast cellars which offer terrific value and great enjoyment. Take the Orange River Cellars Colombard 2017, for example. Colombard is one of the most widely grown varieties in South Africa, yet this white grape is not usually found in a single varietal wine. It is, instead, blended into big generic brands as well as being one of the staples for brandy production. Orange River makes one of the few Colombards around and it is widely available, coming in at under R40 a bottle. And this is one of the best-kept secret for those who like clean, crisp and fresh dry white wines. Served ice-cold, this Colombard asserts itself, a bracing gush of green-apple and more guava elements most Sauvignon Blancs could wish for. It is one of those bright joys dry white wines with an enviable fruit structure that South Africa is known for producing in droves, and with everyday drops like these around, I for the life of me don’t understand why wine is not our national drink of choice.